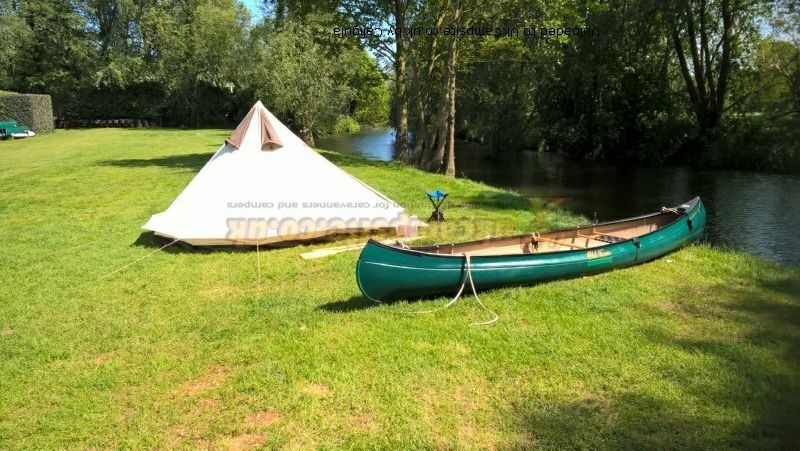 It has now had 2 one night outings, latterly canoe camping which is what I thought may be its forte? 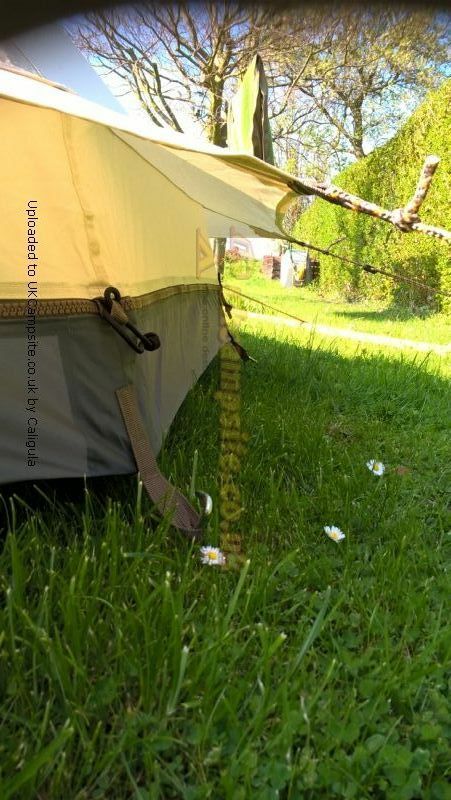 It is incredibly quick to set up, a matter of minutes: I had it up faster on my own, than another couple with a plastic dome style tent? 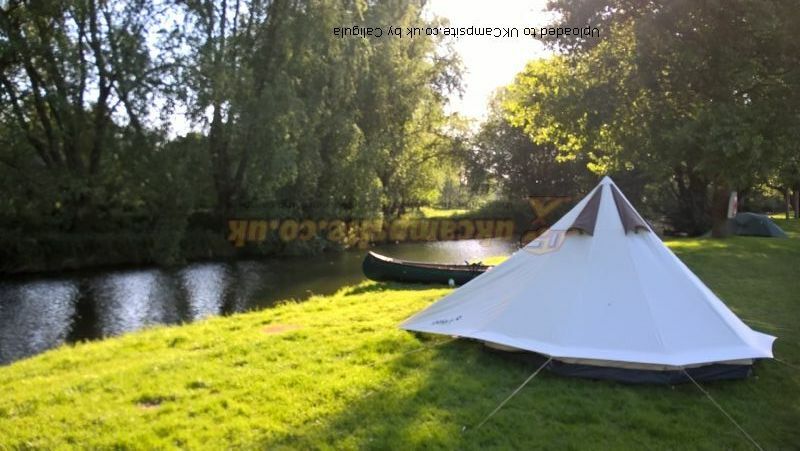 Ideal for two, fabulous for one(!) but I couldn't see 4 in there. The insect doors were a boon as lots of Mayflies rising by the river in the eve. 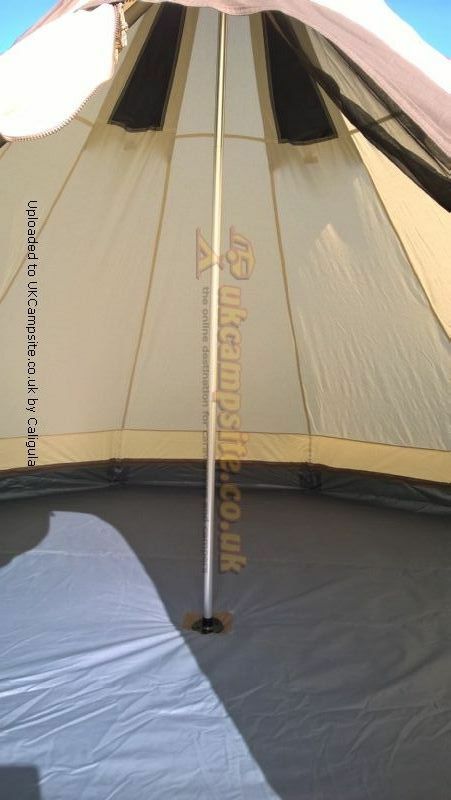 During the early afternoon when hot, it was nice to unzip the groundsheet to let more breeze in - you can't do that with the Fairbanks! 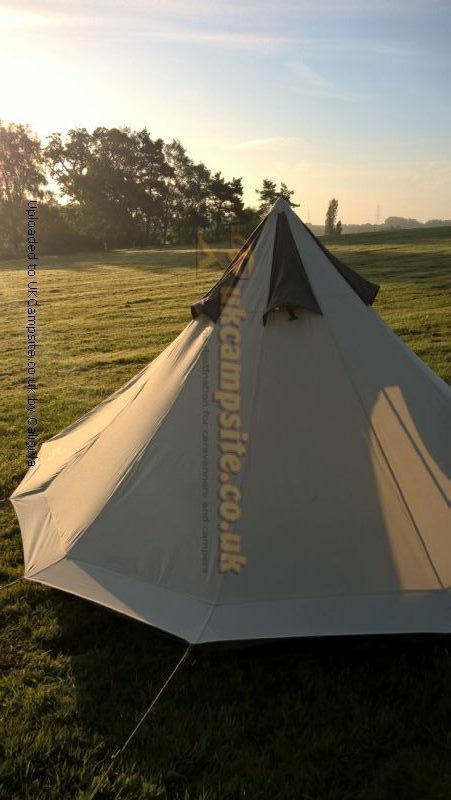 At the price I paid (�179) I think its superb, but the retail price puts it on a par with the Robens Fairbanks.But I think that is way too much for either? 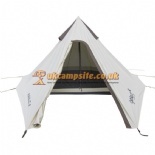 The Gelert Navajo 4 is a polycotton tipi style tent in the idiom of the Robens Fairbanks tent. 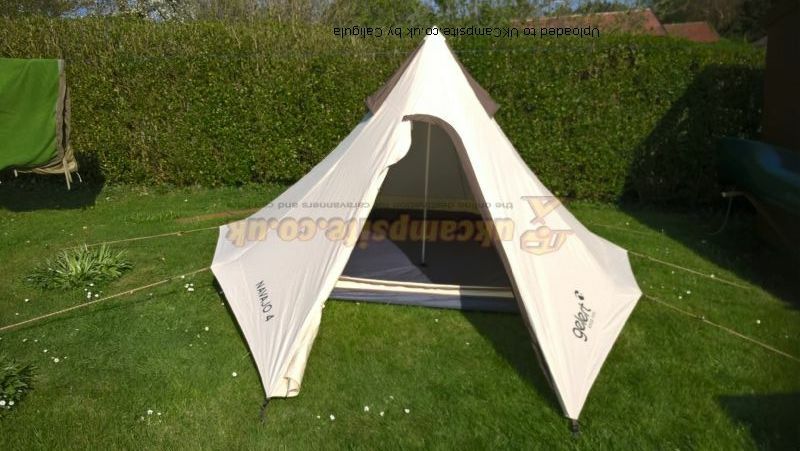 They are very similar, the same size, height, floor area, materials and style. 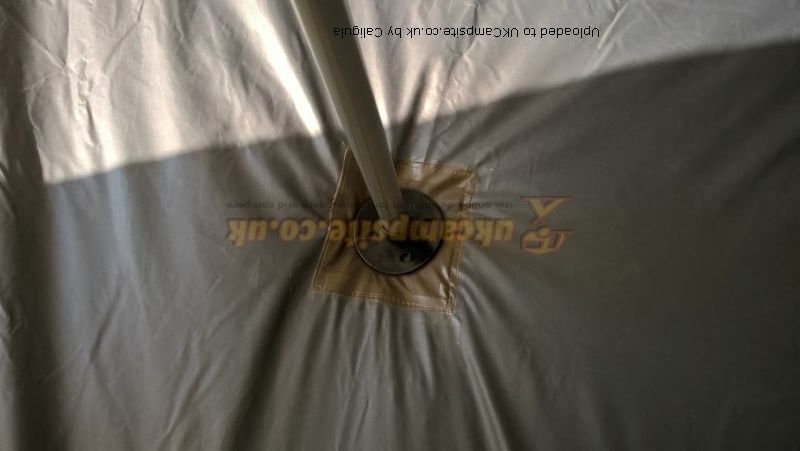 The tent arrived in a good polycotton bag with carry straps and zip. 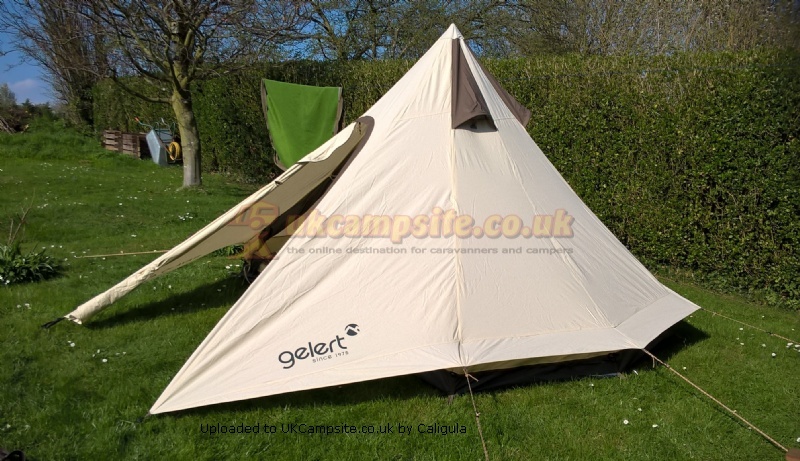 The parent co. Of Gelert is Sports Direct, if any one wasn't aware, Sports Direct are not considered by many, a reputable company, certainly so by me, and on two occasions didn't even seem to be aware of this tent when I made enquiries in the past: so why have I bought one now? 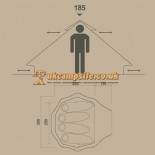 Like others, the Fairbanks was my first choice, but even 2nd hand was proving too expensive. 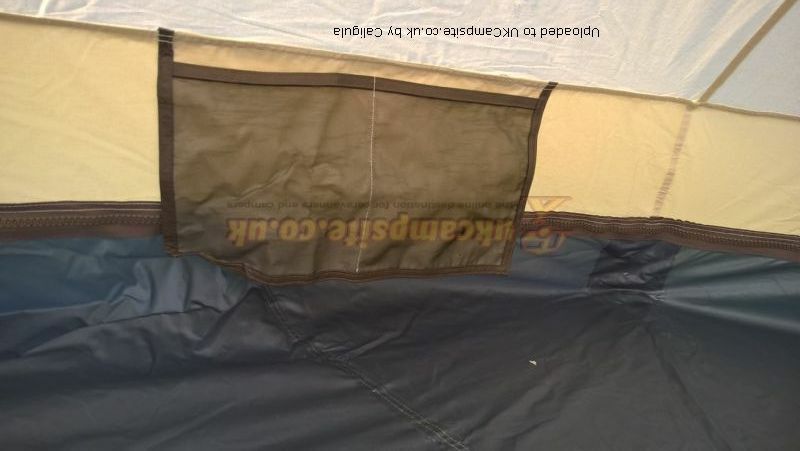 This one was bought following an approving post (of the quality of the tent)by another on this site (see 'tent info.') and when found being sold by a reseller on ebay for �179, these 2 factors determined my purchase. 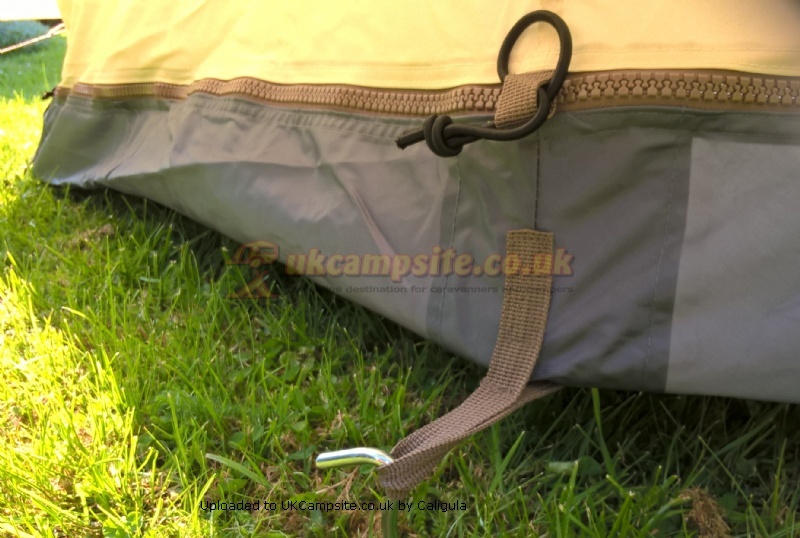 On unboxing, I was pleasantly surprised, as have been others, by the apparent quality of the tent, the fabric and groundsheet look good, well finished, robust and the tent sets well. 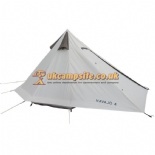 There are several differences compared to the Fairbanks though, Firstly, the cut, and therefore the shape of the tent is slightly different; the apex is set a few inches further back over the main tent. 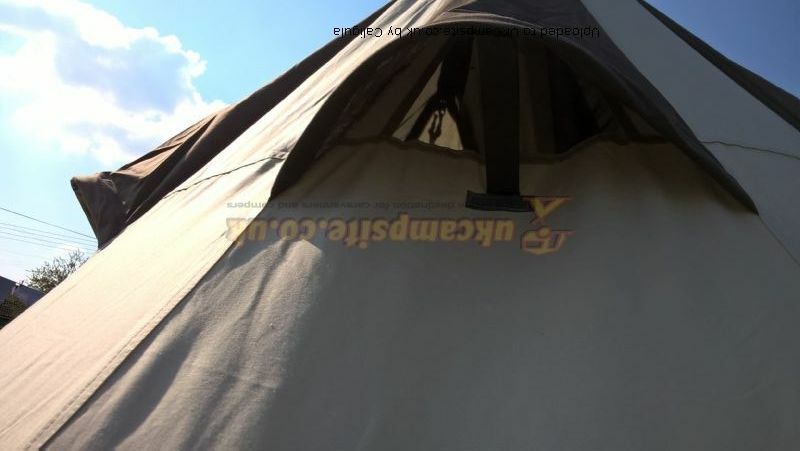 This makes the roof line more steeply pitched but also means the pole comes down into the tent, unlike the Fairbanks and as per photos. Whether this is an issue over the steeper (better for shedding rain or snow?) roof is not yet clear. Secondly, this means the vestibule is more raked giving VERY slightly less air clearance/head room therein, compared with the Fairbanks? Inside there are 4 oddment pockets which are useful. 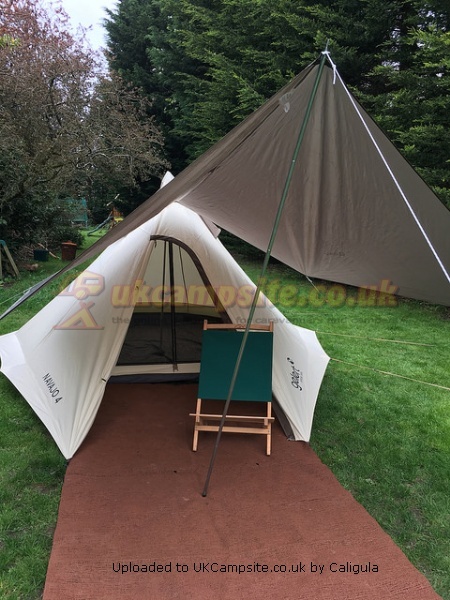 The groundsheet, unlike the Fairbanks, is a ZIG which is very convenient. There is no small rear wall 'window' as per the Fairbanks, but 3 large ventilation cowls in the roof with mesh protection. 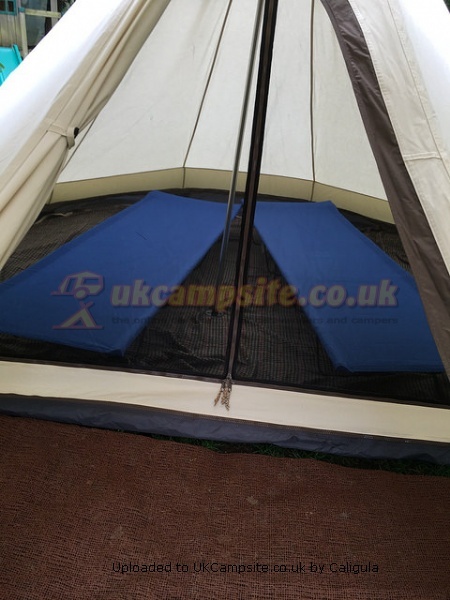 It also has mesh zipped inner doors, and canvas zipped inner doors with a further zipped exterior door, or the vestibule can be opened right back flush fronted as the Fairbanks. The pegs are good and strong, but pin type which means the guy pins could 'slice' through damp soil? Initial setting up probably took no more than minutes, 10 perhaps. 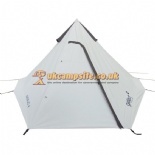 Whilst not a back packing tent, I can see this getting a lot of use with the canoe. When it's been used in anger as it were, I will review accordingly. 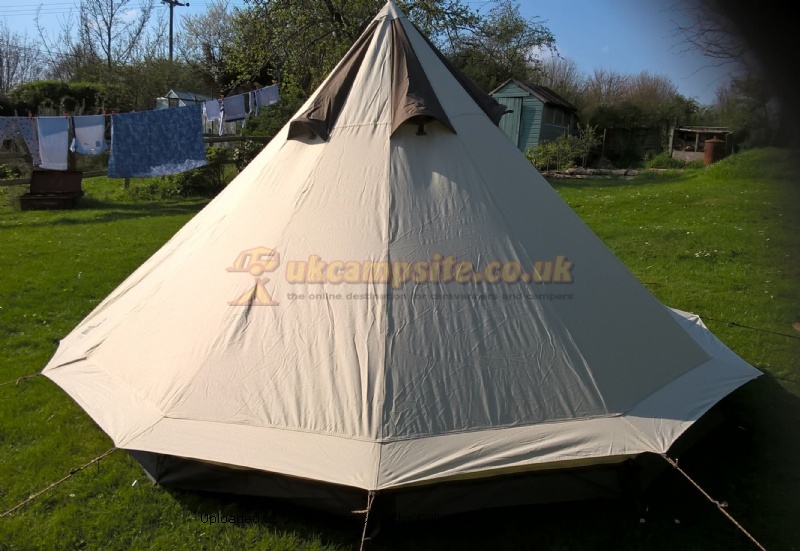 The colour of the tent.Sorry , I forgot to say earlier, is NOT as in any ads., it is a pale creamy beige with darker brown trim, not that dirty white it appears in adverts. 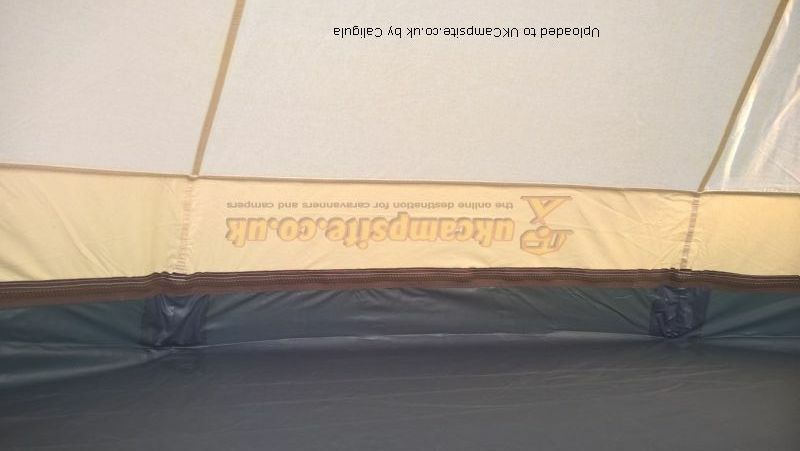 Looks good, and initial unboxing at the price I paid, it has to be a 10.? 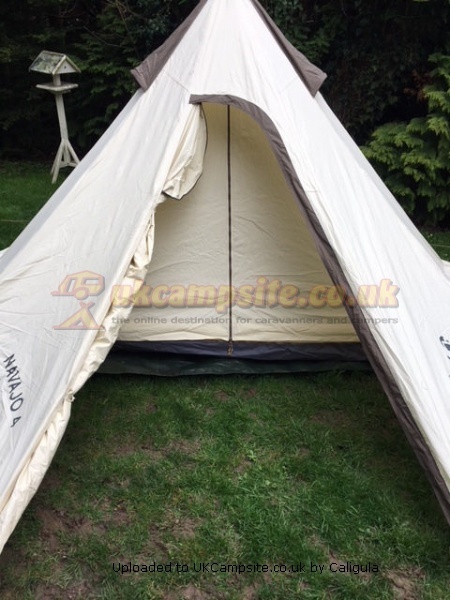 Add your review of the Navajo 4 Polycotton Tipi!